Slightly ahead of schedule of the usual Sunday afternoon revelation is this bit of Superman casting news: German actress Antje Traue has been named to play Faora, the female accomplice to Michael Shannon’s General Zod in the Zack Snyder-directed reboot. Traue—who hails from the famed Traue vowel dynasty that's been hoarding all the vowels since WWII—was last seen in the Dennis Quaid-starring Pandorum, though since that film got little attention, she remains relatively unknown. Traue's role was originally rumored to be that of Ursa, originated by Sarah Douglas in the Richard Donner movies, which turns out to be half-right: Ursa is believed to be based loosely on Faora, with the two sharing many characteristics—namely, her undying devotion to Zod, her seething hatred of all other men, etc. 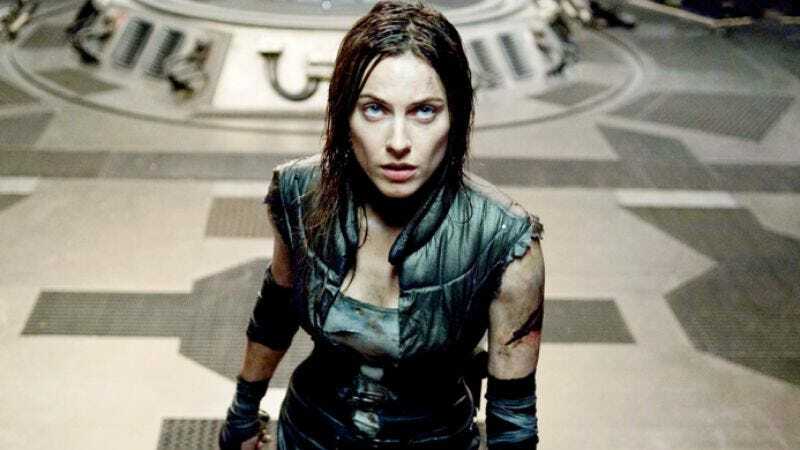 However, Variety speculates that Traue will be playing the later, non-Kryptonian version of Faora, who hails from the fictional Soviet republic of Pokolistan and is an “an orphan metahuman with the ability to disrupt molecular bonds, which allowed her to create a mutagenic virus that served as the linchpin of Zod's plan.” And you thought studying the disruption of molecular bonds in high school had no practical application.